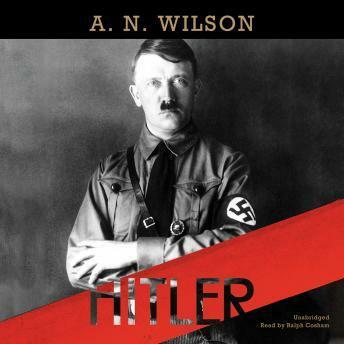 Written by acclaimed biographer A. N. Wilson, Hitler is a short, sharp, gripping account of one of the twentieth century's most notorious figures. In it, Wilson offers a fresh interpretation of the life of the "ultimate demon-tyrant of history." In 1923, thirty-four-year-old Adolf Hitler was languishing in prison after leading an unsuccessful putsch to overthrow the German government. Within a decade he was German chancellor, one of the most powerful men in Europe. How did he do it? Had Hitler been a regular politician, Wilson argues, he would have vanished without trace after his prison experience. He was not, however, a regular politician but rather a conjurer, seeing politics not as the art of the possible but as the art of the impossible. Among the book's many insights, Wilson shows how Hitler had an intuitive sense, which amounted to genius, that the spoken word was going to be of more significance than the written word during the twentieth century. In this respect, the Führer is presented as a man ahead of his time, who foreshadowed Hollywood and television stars and postwar politicians. In a field dense with lengthy tomes, this brief, penetrating portrait provides a compelling introduction to a man whose evil continues to fascinate and appall.